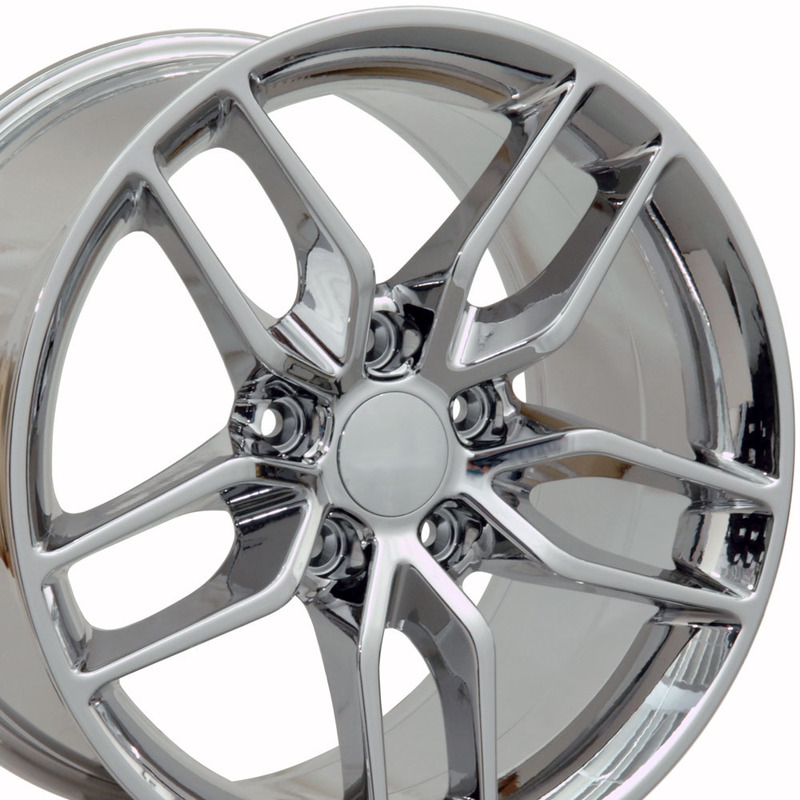 Corvette, C7 Stingray Style, 18x8.5 Wheel for 1988-2004 C4/C5 and Camaro 93-2002 Fitment, Chrome, Price is for a single wheel. 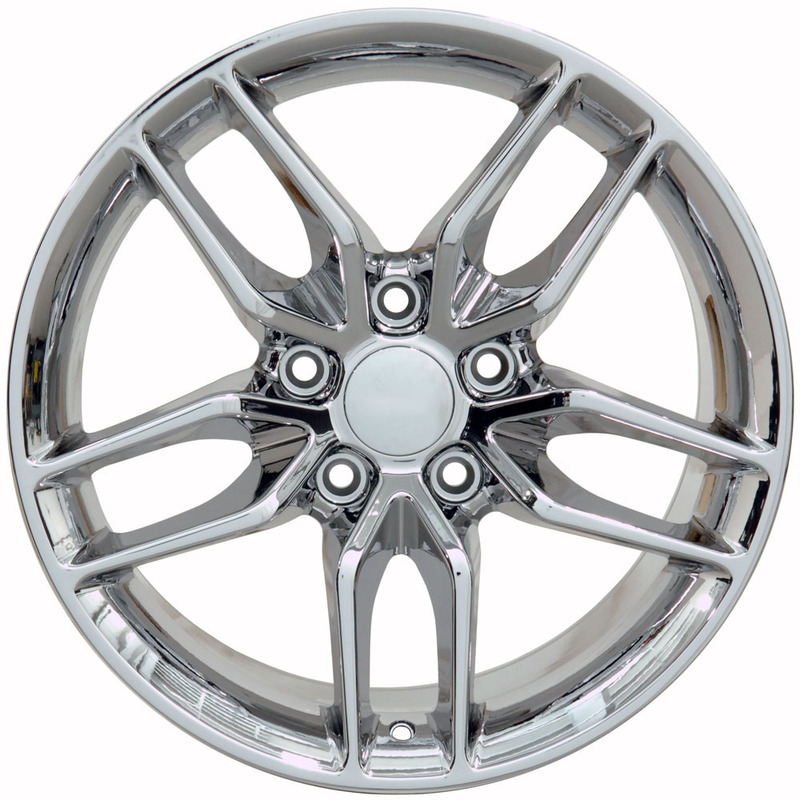 Fits: Pontiac Firebird (rear only) 1993-2002, Chevrolet Camaro (rear only) 1993-2002, Chevrolet Corvette (rear only) 1988-2004. Fitment guaranteed for stock equipped vehicles only.WILL NOT FIT: Fitment is not guaranteed for vehicles equipped with upgraded or modified brakes, suspension or drive train.